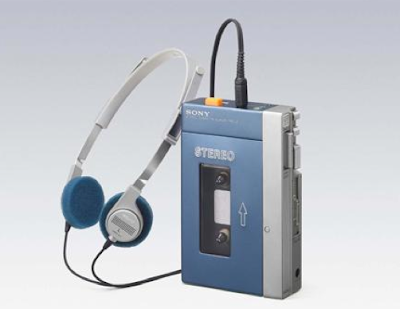 News hot off the wires that Sony are discontinuing the glorious walkman, the little tape playing thingy that started pretty much everything. Would Sir Cliff still be the icon he is without 'Wired for Sound'? Would Kevin Bacon ever have been the legendary shagger he was with 'Footloose'? Would I be the man I am today if I hadn't bought the moody version down East Ham high street in the 80s and listened continually to 'Insecure Me' by Soft Cell? Although I suppose most youngsters will have no idea what these lovely little fellas were and the extraordinary impact that they had on everyday life, we should all doff our respective hats in their honour.